Time flies! 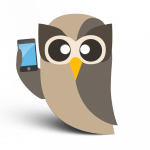 Already our little mobile Owl has grown one version older as HootSuite for iPhone celebrates version 1.1.6 for both the Full and Lite versions. But what do you get an Owl for such a big day? Well we all chipped in and gave our feathered friend some shiny new features — which we suspect you’ll be excited about too. This mobile Owl enjoys making life easier and these new tools will help you be even friendlier. These people we call “followers” are reaching out to learn your thoughts and actions from morning beverage selection to philosophical discourse — now you can get to know these people on the other end of the Twitters with refined “Contact Management” allowing you to search for user to follow. Tap the all-new Contacts tab on the main menu to quickly search for people and view profiles. 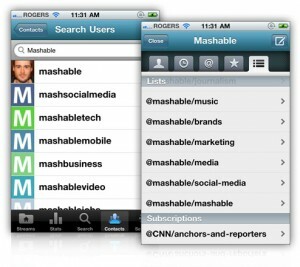 Simply type a friend’s name or nickname and HootSuite will find the most relevant person on Twitter. Then you can follow her in just a couple of clicks, plus add to your lists. Try it out and see how much friendlier you become, instantly. Additionally, lists are a way to share the social affection as a sort of endorsement for your Twitter faves. No longer must you fiddle with misspelling weird Twitter nicknames, typing at meetings and wasting time! Instead, just “Bump” to follow. 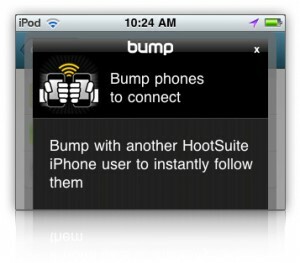 HootSuite for iPhone’s Bump feature has graduated from the Lab and is ready to make adding people to your social networks easier than ever. 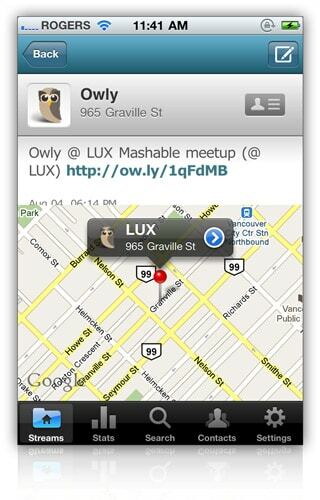 Simply “Bump” your iPhones with a your new friend and the little owl will take care of everything else. (Note: Please, don’t get *too* excited and break your phones). To impress your eyes, everything in the new version is even shinier for iPhone 4 users — each graphic from the icons to the interface elements are now in full hi-res so your phone will sparkle as brightly as your retinas will displays. Now you can really tune HootSuite to look and act as you’ve always wanted. If something is still missing, it might appear in the next release. Remember you can offer feature requests and encourage your fellow enthusiast to vote it up. It’s important to have a bit of playtime and the popular social-geo-location “check-in” game Foursquare is ready for your leisure time in HootSuite. 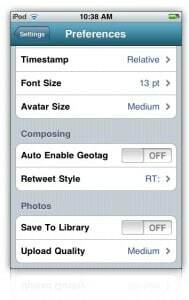 Just click the “menu” arrow from the compose box and choose “geo-location” and send your coordinates to your pals. Whether you are at the pub or the park, your friend will flock towards you — check-in frequently and you’ll earn badges … and you’ll want these badges. Owls do manage to sleep occasionally … but all waking hours are spent making this application the fave tool in your app toolbox. 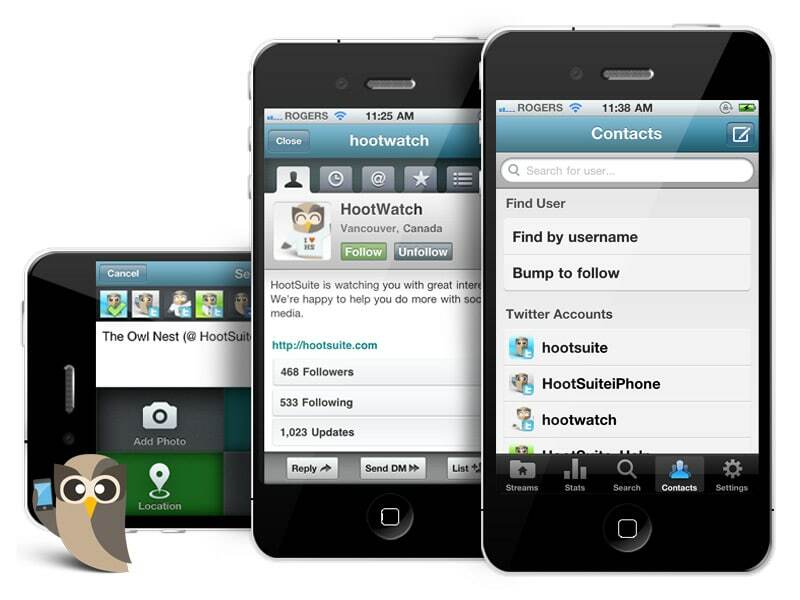 Always be the early bird by following @HootSuiteiPhone for the latest updates and news. And if you have any problems or concerns, visit the fully-loaded Help Desk and/or follow @HootSuiteHelp.